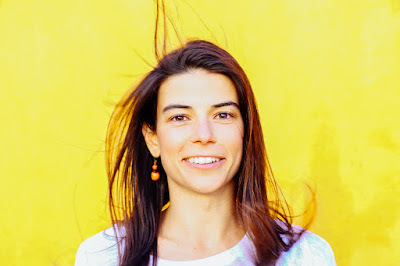 Masha is a yogi, rock climber and nature lover currently residing between Portugal and Spain. She teaches her unique and transformative classes and retreats across Europe and was part of the Sivananda Yoga team in Teacher Training Courses in France and India. Masha’s teaching offers a heart-opening, invigorating and experiential practice, grounded with a focus on both physical and energetic alignment. Yoga, when practiced with this holistic awareness becomes fluid movement therapy. Her own practice and therefore teaching encompasses Asana, Pranayama, Relaxation, healthy diet, positive thinking & Meditation. Before becoming a certified yoga teacher in 2013, Masha worked as an athlete manager for The North Face in Switzerland. She has been a student of yoga and Vipassana meditation since 2009. Masha is a certified Feldenkrais Awareness Through Movement teacher and is the local organizer of the Feldenkrais Teacher Training in Portugal. She is continuously seeking to fine-tune her knowledge of anatomy, alignment and the mind-body connection. Masha speaks 9 languages almost fluently and enjoys teaching in multiple languages. Using precise and complex techniques, the Feldenkrais method uses the innate intelligence of the human nervous system to reach higher levels of function in all these areas. The structure of the lessons promotes the revival of our perceptive capacity and the discovery of lightness, efficiency and elegance in movement. They expand your abilities to act with precision, strength and spontaneity and increase your learning capacity. Functional integration – an individual modality. In Awareness Through Movement, movement is explored in a playful, easy way by using variations. The participants are verbally guided to perform specific movement sequences. Individual perception is refined, individual movement patterns are recognized and supplemented by alternative possibilities. Functional Integration is geared to the individual needs of the learning person, who is moved by the Feldenkrais Practitioner. In this way, patterns can be recognized more quickly and functionality can be improved. The precise and complex techniques promote a direct reorganization of the nervous system and have a lasting effect. You can find a list of resources and free downloads on the page of Instituto Feldenkrais.